Relationships are hard work. To make a relationship successful, you need honesty, communication, similar interests, a strong support network and many more positive attributes, and so does your partner. The saying goes, “It takes two to tango” but it only takes one to make a relationship undesirable. Another necessary quality in relationships is stability. Unfortunately, stability can be in short supply if you or your partner has bipolar disorder. Bipolar works to add instability and unpredictability to your life through changing symptoms. Manic and depressive states wreak havoc in relationships, because your partner does not know how to respond to you. If your symptoms are too high, there is nothing your partner can do or say to improve the situation. This leads to them feeling inadequate and disappointed. For the record, someone being “nice one minute and angry the next” is not someone with bipolar. Gaining education from reputable sources on the diagnosis and treatment of bipolar disorder is important if you believe that your spouse or partner has bipolar disorder. People tend to be diagnosed with bipolar disorder during their late teens and 20s. This is problematic since these are the ages when most people are actively dating and getting married. 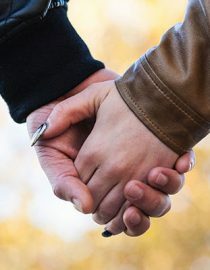 Chances are good that when you began dating, your partner displayed no signs of mental illness, but as the relationship continued, signs of bipolar became evident. Treatment – With bipolar disorder, the question is not if treatment is needed, but what treatment and how much treatment. People with bipolar disorder generally have fewer symptoms being on one or a combination of medications to reduce depression and stabilize mood. Medication consistency is so crucial and necessary for anyone with bipolar. When symptoms change, you may feel that medication is no longer needed. Stopping medication can throw your symptoms into chaos. Medication is so helpful for bipolar which means it is helpful for your relationship/marriage. Individual therapy, group therapy, support groups are available. Be creative and willing to experiment to find a good balance and maintain symptoms.